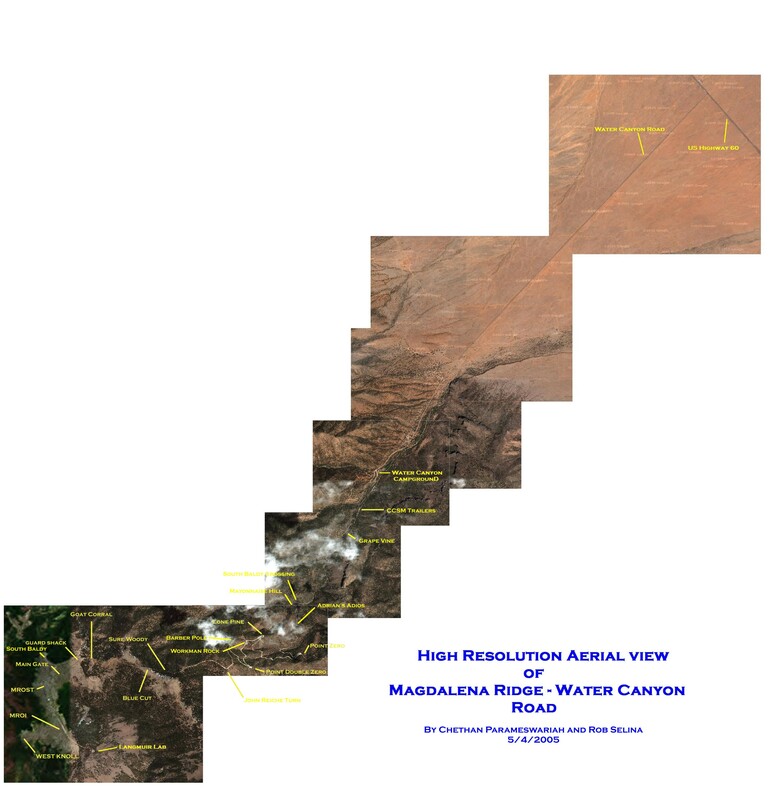 See this very large aerial map for a view of the road from Highway 60 to the Main Lab Building, provided by the Magdalena Ridge Observatory. WARNING: The gate at the top of the mountain is usually closed and locked. If you find the gate open and drive through, you are in danger of being locked inside unless you have made previous arrangements. Be sure you know when the gate will be locked that day. Restrictions on use of vehicle headlights and building lights may be in place when the 2.4-meter telescope of the Magdalena Ridge Observatory is in operation. Langmuir Laboratory for Atmospheric Research, located 30 road miles southwest of Socorro, NM, near the summit of 10,783-foot South Baldy Peak in the Magdalena Mountains, welcomes visitors from early July to mid-August. However, visitors should check with the campus office (575-835-5423) to be certain that the Lab and the road are open. During the usual research season Lab personnel may be away doing research at other locations, or the Forest Service may impose closures because of extreme fire hazard conditions or construction work for the Magdalena Ridge Observatory. From Socorro, take U.S. Highway 60 west approximately 16 miles to the Water Canyon Campground turnoff, between mile markers 123 and 124. Follow paved Forest Road 235 about 4.5 miles to the campground, where there are improved Forest Service campsites. Cross over the creek to the left, and continue another 10 miles beyond the campground to the summit to reach the Laboratory. 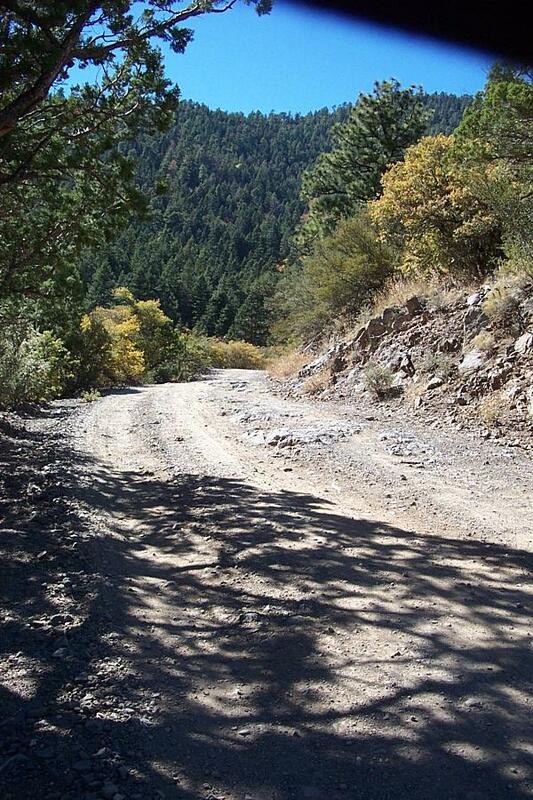 Beyond the campground, Forest Road 235 is unpaved, gravel, one-lane, and steep with many blind curves and drop-offs; the road is not recommended for passenger vehicles with low clearance or in substandard mechanical condition, nor for motor homes or travel trailers. The National Radio Astronomy Observatory’s Very Large Array on the Plains of San Agustin also welcomes visitors. 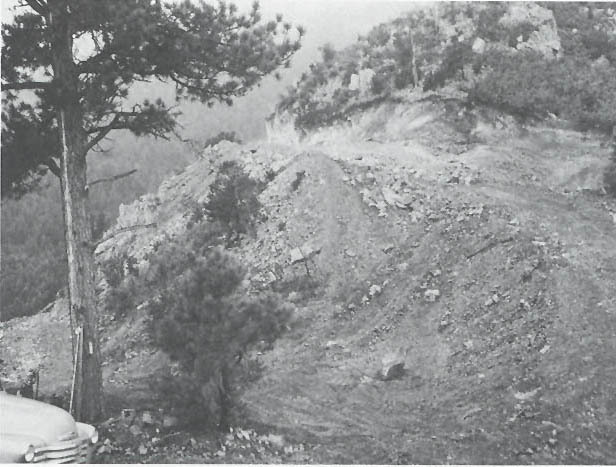 It is located just off U.S. Highway 60, approximately 36 miles west of the Forest Road 235 turnoff to Langmuir Laboratory. 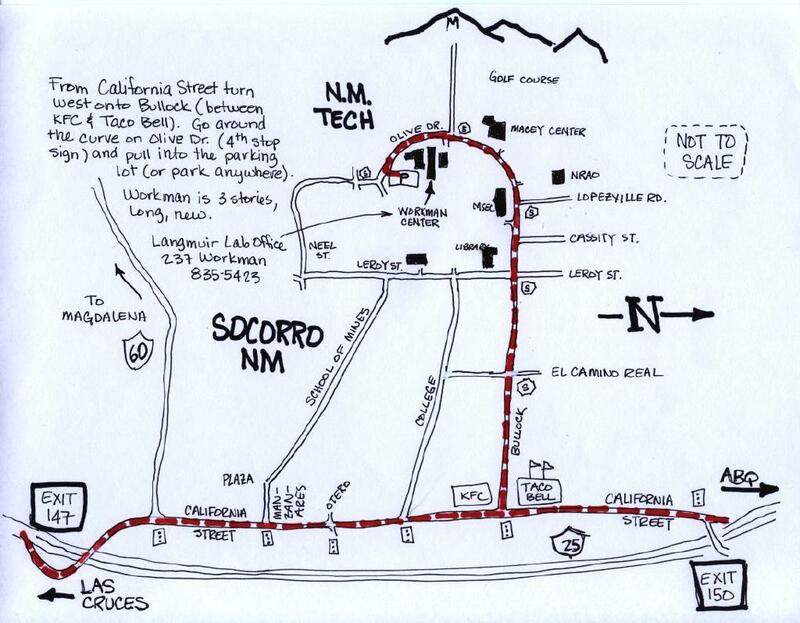 If you are looking for our offices on the campus of New Mexico Tech, here is a sketchy map that shows how to reach 237 Workman Center.